Roya | Pembroke Welsh Corgi in Oakland. Last login 9 days ago. 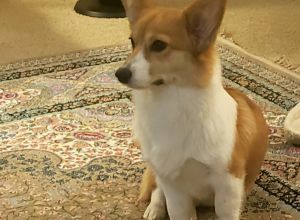 Roya is a sweet little Corgi, she's super well trained and loves to walk and be pet, she also plays fetch like a queen.